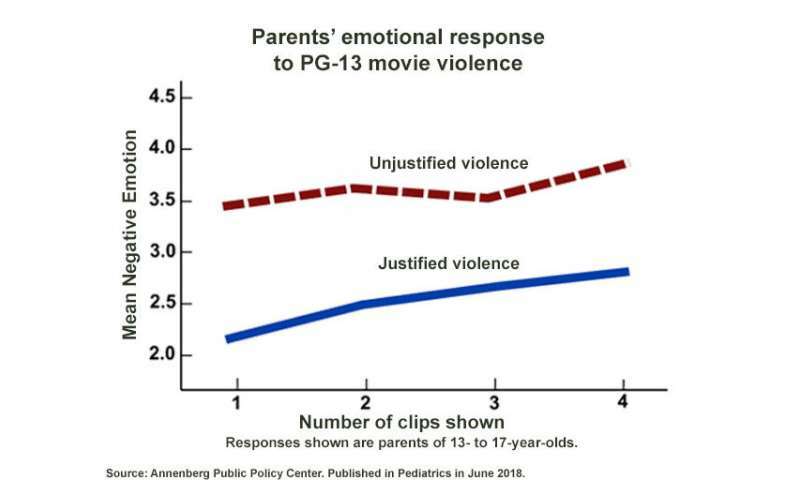 This graph shows negative emotional response of parents of 13- to 17-year-olds on seeing a series of four movie clips featuring justified and unjustified gun violence. Credit: Annenberg Public Policy Center. Published in Pediatrics, June 2018. 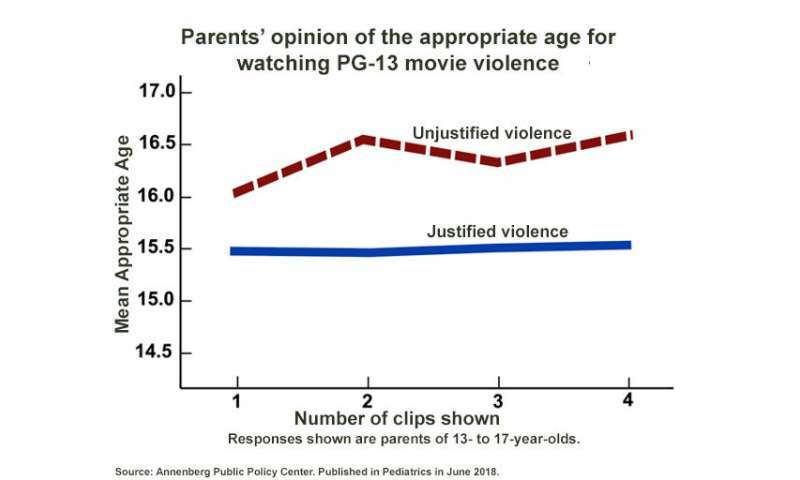 Responses of parents of 13- to 17-year-olds on the appropriate age for watching PG-13 movie violence. Credit: Annenberg Public Policy Center. Published in Pediatrics, June 2018.